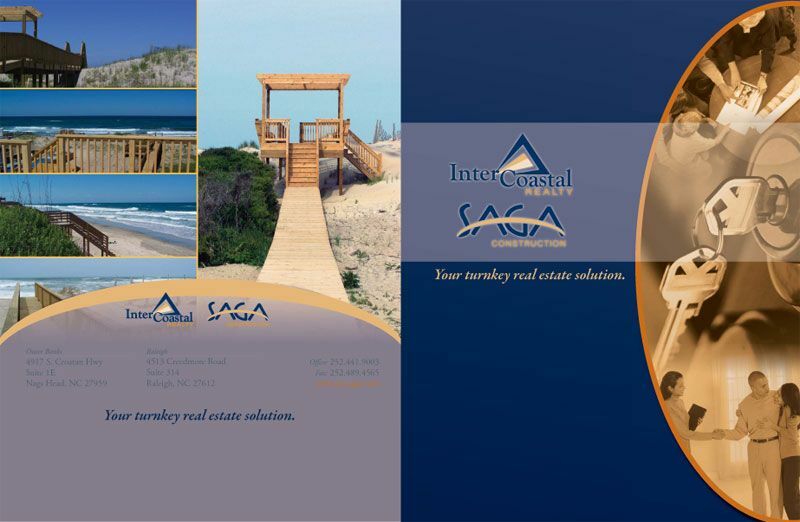 A large 4 page brochure designed to be a sales piece for in-person sales calls and mailings. 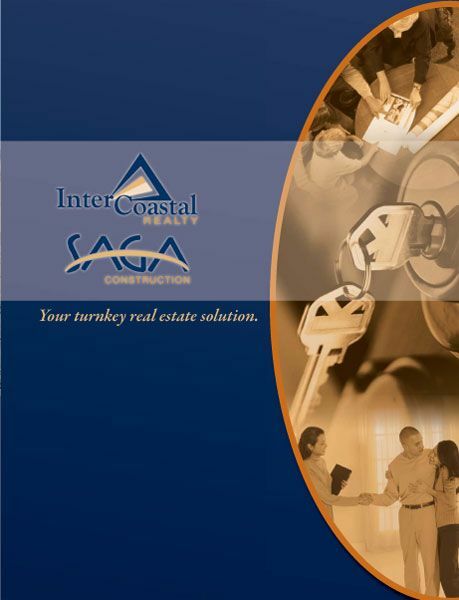 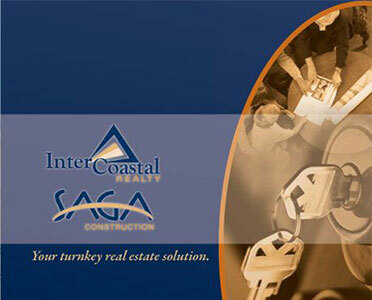 The brochure showcases the custom home construction of Intercoastal Realty & SAGA Construction through the use of large images of their recently constructed homes. 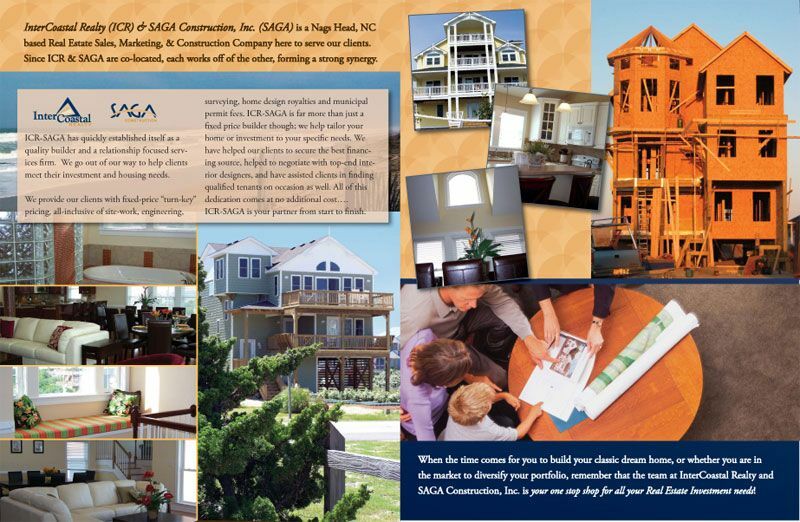 The brochure fits right in with the rest of their marketing materials and website for a professional presentation.